Starting May 23, 2018, the following changes will automatically apply to the Rogers Platinum Mastercard and the Fido Mastercard. 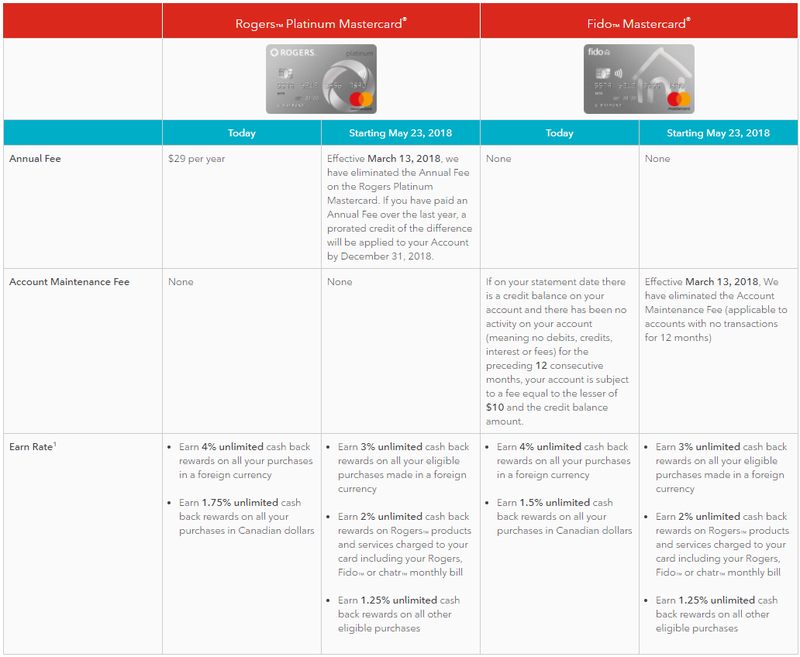 So, Rogers MC will be the same as Fido MasterCard. Their cash back will drop to 1.25% for normal purchases, and actual cash back on foreign purchase will drop from 1.5% to 0.5%.